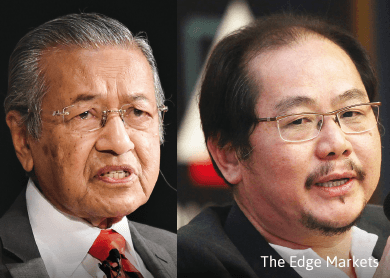 KUALA LUMPUR: It takes more than one individual to sabotage the country’s economy, former prime minister Tun Dr Mahathir Mohamad said yesterday in reference to allegations by anonymous blogs against The Edge Media Group owner Datuk Tong Kooi Ong. Speaking of the time while he was prime minister during the Asian financial crisis in 1997 and 1998, Dr Mahathir said attempts to devalue a national currency required “a big organisation”. “During my time, it was not anybody local who devalued our currency. It requires a whole group of people who sell to their own people, their colleagues,” he told reporters in Kuala Lumpur yesterday. Of the claims against Tong, Dr Mahathir reiterated that “if there is such an allegation, do a proper investigation and not a one-sided one”. Tong, who is executive chairman of The Edge Media Group, has been accused of betting on the ringgit to make it crash for personal profit. The blogs claimed he had taken a US$1.4 billion (RM5.07 billion) short position on the ringgit through a proxy in transactions from August last year to January 2015. Tong has since denied the allegations made in several blogs, calling them “malicious lies and fabrications”. The businessman has also denied other accusations of using publications under his media group to put Malaysia’s economy in a negative light, and of deliberately giving extra play to Dr Mahathir, who has been critical of Prime Minister Datuk Seri Najib Razak’s administration. 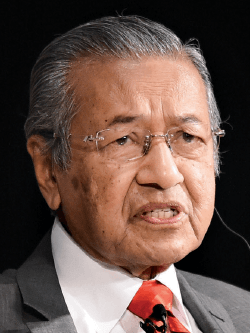 Dr Mahathir has also been a vocal critic of 1Malaysia Development Bhd (1MDB), a strategic development fund backed by the government, which is saddled with massive debts. Publications under The Edge have also been carrying critical articles and investigative pieces on the fund. Dr Mahathir had previously said that Tong was being attacked because the publications in his media organisation continuously criticised 1MDB. 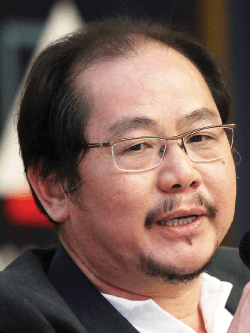 Tong has so far issued press statements denying involvement in currency manipulation and economic sabotage, as well as reports that he was using the media outlets under his control to drive down the ringgit and put Malaysia in a bad light. He also identified a blogger known as “ahrily90” as the one behind the blogs attacking him as well as Dr Mahathir and banker Datuk Seri Nazir Razak, who is the brother of Najib. This article first appeared in The Edge Financial Daily, on February 13, 2015.